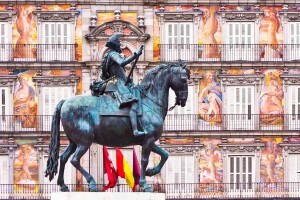 Our Andalusian Adventures takes you to the highlights of Spain! We suggest extending for beach time in beautiful Costa del Sol or visiting Barcelona! 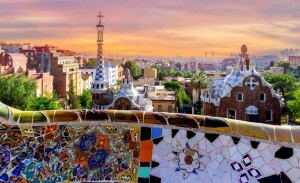 We will be happy to customize your adventure to Spain without a fee! Welcome to Spain! After a private arrival transfer from Madrid Airport to your hotel, spend the remainder of your day at leisure. 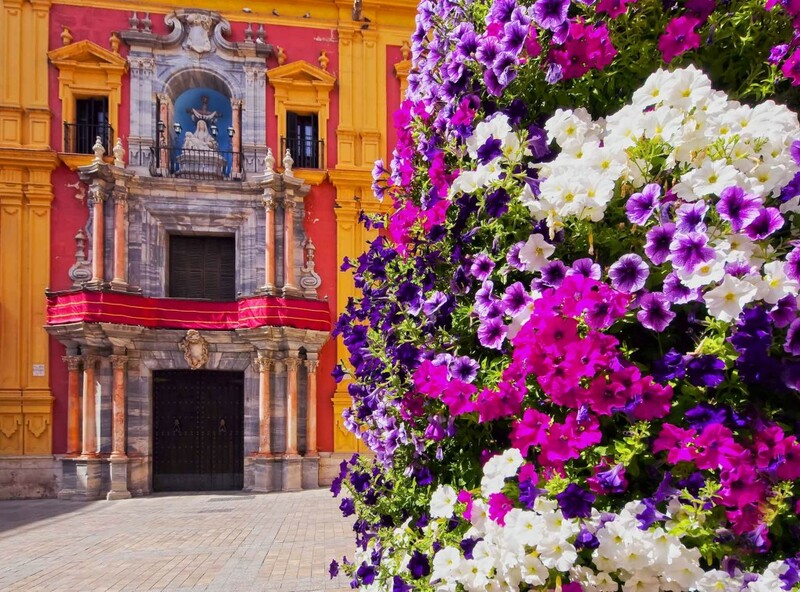 Visit Plaza Mayor, the city's most famous square, to sip sangria at one of the numerous cafes. Stroll the Gran Via with its many shops and restaurants. Overnight in Madrid. After breakfast, morning at leisure. Consider exploring the city on your own or an orientation tour around the city to familiarize yourself with its’ highlights. After lunch on your own, enjoy your scheduled tour to Toledo, a national landmark. Toledo is a city made special by Its Arab, Jewish and Christian influences. The most famous resident was the famous painter, El Greco. His masterpiece, Burial of the Count of Orgaz can been seen in the Cathedral, there. You will visit a Mosque, Synagogue and a Cathedral. Return to Madrid. Overnight in Madrid. After breakfast, enjoy your day at leisure. Consider a visit or a tour to the Royal Palace. Highlights include the Reception Room (where receptions for heads of state are still held), State Apartments, Armory and Royal Pharmacy. A stay in Madrid would not be complete without visiting the Prado Museum. Visit the museum on your own or take a tour. Stroll around and see some of the best-known treasures in this neoclassical building commissioned by King Charles III. Admire the masterpieces of El Greco (The Annnciation), Goya (The Third of May), Velazquez (Las Menina) and Bosch (The Garden of Earthly Delights). Overnight in Madrid. After breakfast, transfer to the railway station for your train to Cordoba. Upon arrival, you will be privately transferred to your hotel. Spend the remainder of your day at leisure. Overnight in Cordoba. After breakfast, visit the Mezquita, a UNESCO World Heritage site. From the 8th century, the Mezquita was the crowning Muslim architectural achievement in the West. Stroll past hundreds of striped columns and see shimmering golden mosaics and gaze up at the elegant domes. Today, the Mezquita is the Cathedral of Cordoba. The 16th century cathedral lies in the middle of the mosque. The Mezquita symbolizes the many religious changes Cordoba has undergone over the centuries. After lunch on your own, stroll through the Jewish quarter and visit the Cordoba Synagogue. You can visit the Mezquita independently or take an optional guided tour. Overnight in Cordoba. After breakfast, you will be transferred to the railway station for your train to Seville. Upon arrival, you will be privately transferred to your hotel. Spend the remainder of your day at leisure. Seville, the capital of Andalusia, is best seen on foot. Visit the Barrio de Santa Cruz, once a ghetto for Spanish Jews, a colorful neighborhood of Seville. Overnight in Seville. After breakfast, visit Seville’s UNESCO World Heritage-listed Royal Alcazar Palace. The 14th century palace is the oldest royal residence in Europe. After lunch, visit the Cathedral of Santa Maria and the Giralda Bell Tower. The cathedral is the largest Gothic building in the world and contains the remains of Christopher Columbus. Gaze at its colossal spires and intricate carvings that decorate the façade. La Giralda, a Moorish tower next to the Cathedral and Seville’s most famous monument, was erected as a minuet in the 12th century. You can visit Seville’s monuments independently or take an optional guided tour. Overnight in Seville. After breakfast, a free day at leisure in Seville to stroll the city. Browse the shops for a wide selection of locally made Andalusian ceramics or consider a visit to the Bullring of the Royal Maestranza, an important cultural institution that has hosted some of the country’s most famous bullfights. A perfect way to end your stay in Seville is with a night of flamenco! Overnight in Seville. After breakfast, pick up rental car and drive to Granada. After lunch on your own, visit the Granada Cathedral and Royal Chapel. This richly ornate Renaissance cathedral with its spectacular altar is one of Spain’s architectural highlights. Behind the cathedral is the Royal Chapel containing the remains of Queen Isabella and her husband, Ferdinand. Overnight in Granada. After breakfast , visit the Alhambra and Generalife, one of Europe’s greatest attractions. This UNESCO World Heritage site was originally built as a fortress on a rocky hilltop. In 1333 it was converted into a royal palace. You will see the magnificent Moorish architecture of the Nasrid palaces where sultans once lived and met with their chief ministers. Later, stroll the magnificent Generalife Gardens with exotic plants and flowers. You can visit the Alhambra and Generalife independently or take an optional guided tour. Reserving tickets is recommended. After lunch on your own, stroll the Albaicin, the old Arab Quarter, with its alleyways, cisterns and whitewashed houses. Drive to Malaga. Overnight in Malaga. Return rental car. Fly from Malaga to Madrid to US. May we suggest extending your stay to visit the Costa del Sol area for a relaxing break. Please see our Costa Del Sol tour for what this glorious area of Spain can offer! Extension to Barcelona is available.